While perusing through some new blogs the other day, I found a recipe on Civilized Caveman that really drew me in. Paleo Nutella. Confession: There has never been Nutella consumed in my house. My mother has never purchased a jar and I didn’t even have my first taste until 2 years ago when my cousin was like, “whattttt you’ve NEVER had NUTELLA?!”. She was 7 and I was 20 so I had to get on that. I was craving something creamy and decadent so I knew I had to make this as an everyday, ahem, occasional treat. I modified the recipe a bit to fit my needs and I am in love with the result. In a food processor, blend hazelnuts until they are chopped up and relatively smooth. Slowly pour in 1/2 cup coconut milk as the mixture continues to blend. Stop processor and add cocoa, vanilla, salt and honey. Process again and add in up to another 1/4 cup of coconut milk. Add milk until it is smooth and creamy. Remove from processor and eat with a spoon. Or on top of things. Whichever you prefer. 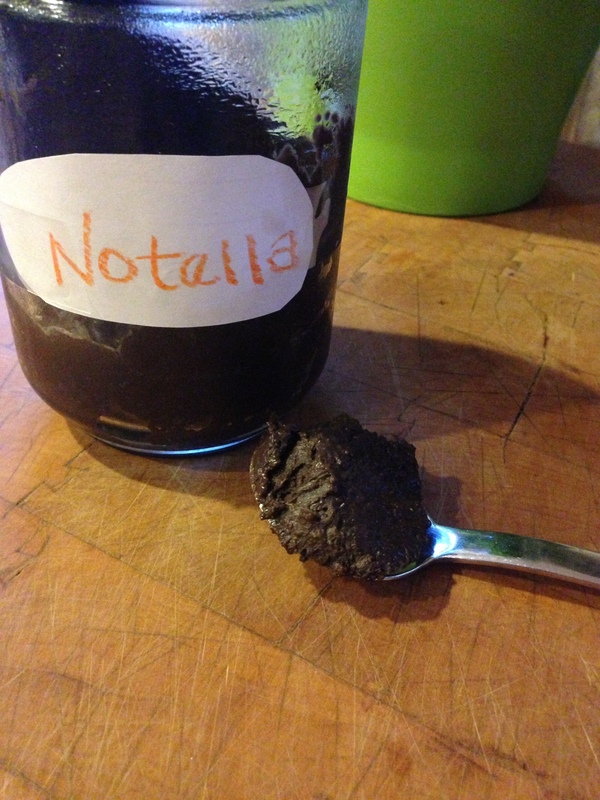 This entry was posted in Recipes and tagged dessert, fit, healthier, healthy, notella, nutella, paleo, recipe, treat. Bookmark the permalink. ← Is Working Out a Hobby?